RAW Rolling Papers steps up the natural smoke with an eco friendly filter tip. 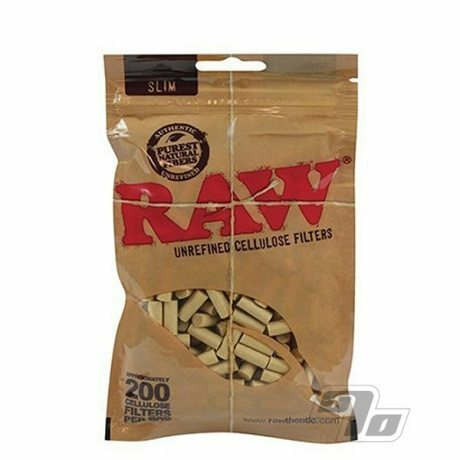 Made from pure cellulose fibers, these natural filter tips are not only unbleached but 100% biodegradable. 200 filter tips in each resealable bag. Roll your own cigarettes, choose nothing but the best for (RAW) papers, filler and filters and still save money over commercial packs.